Centacare delivers high-quality education to support those working in community services. Centacare Catholic Family Services is a Registered Training Organisation (Provider Number 1004) that provides national vocational training courses. Our courses range from foundation skills and education and skill development to community sector qualifications. These courses are designed to help people update their educational, vocational and social skills so that they can successfully compete for positions in employment, further education or training programs. Certificate I qualifications are designed for individuals who require further foundation skills development to prepare for workforce entry or vocational training pathways. Certificate II qualification is designed for individuals who require further foundation skills development to prepare for workforce entry or vocational training pathways. The focus of this training is on identifying and managing immediate suicide risk in the context of a supportive helping relationship that seeks to work collaboratively with the person at risk to achieve safe outcomes. 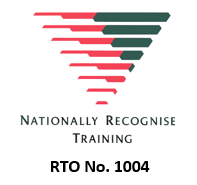 This qualification reflects the role of workers who work under broad supervision and guidance and provide services to clients with alcohol and other drugs issues. On completion of this qualification, workers may provide counselling, referral and promotion services. This qualification will assist learners in developing high level specialist knowledge, skills and competencies especially in regard to laws affecting clients, the range of services available to them and health issues related to alcohol and drugs use and misuse. Candidates must complete a work placement of 160 hours. Candidates must complete a work placement of at least 160 hours. This qualification is suitable for people currently working in WHS, or those seeking to pursue a career in this profession. Who: People looking for professional development or gaining further qualifications. Where: Training is held at Centacare locations.